I am a strong believer in the benefits of hands-on and experiential learning. SIU offers a number of unique opportunities to participate in research and creative activities starting in a student’s freshman year. These opportunities extend beyond the SIU campus. This summer, many of our students are gaining invaluable experience and knowledge by participating in countless internships. Others are traveling around the world to learn about other cultures in study abroad programs. I’ve seen many recent college grads lamenting online about the difficulties of landing a new job without experience. Luckily, many Salukis are putting themselves at the head of the pack by taking on summer internships. For instance, Emily Buice, a junior in our communications studies program, is on her way to Brussels, Belgium, for an internship with the public affairs department of the U.S. Mission to the European Union. And Emma Rients, a junior studying Animal Science, will be one of five students in Illinois to join the new I-BELIEF (Illinois Beef Experiential Learning and Industry Exposure Fellowship) program. Several SIU students also spent the legislative session in Springfield this year, thanks to a handful of internships offered through the Paul Simon Public Policy Institute. These students include Oneida Vargas, Joshua McCray, Darrin Reinhart and Michael Smith, and Sarah Farwick and Gabby Robles. While summer might seem like the perfect time to complete an internship, these opportunities are available year-round. Students sometime connect with employers on their own, but most find internships through their individual colleges, schools and departments or the Career Development Center. I encourage every student to explore the options and take advantage of these great learning experiences. Our students are also fanning across the globe this summer to take advantage of numerous study abroad programs under the guidance of SIU faculty. 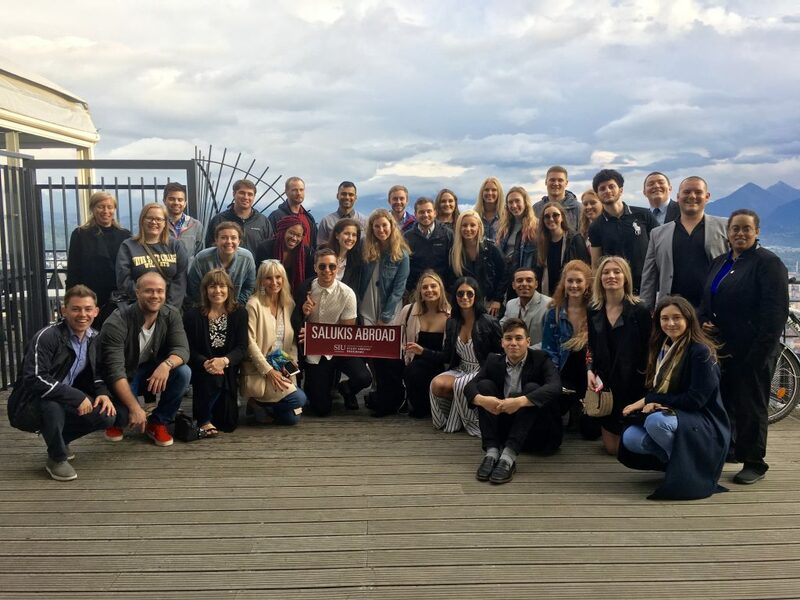 One of the most popular recurring opportunities is the College of Business study abroad program in France, taking place from May 13 through June 10. This is the 16th year for the program, which is conducted in partnership with the Grenoble Graduate School of Business. Participating graduate students can earn a certificate in innovation, design thinking and intrapreneurship. Students in another popular program, the Messages from Hiroshima: Global Peace Education program recently returned from Hiroshima and Nagasaki, Japan, where they took a deeper look at the history and politics behind nuclear technology and the Pacific Theater of World War II. Global seminars are also being held in Greece, Spain, Cuba, Ireland, the United Kingdom, Germany and Egypt. So, whether getting practical experience to build up their resumes, traveling the world to immerse themselves in other cultures, or both, Salukis aren’t resting on their laurels this summer. I can’t wait to hear about all your great experiences.